Devising theatre is a fundamental element of the Drama curriculum, but managing the process is often demanding, difficult and challenging. It can lead even highly competent Drama teachers to feel disempowered. However, help is at hand, whether you're a novice coping with your first exam season, a non-specialist or a veteran in need of some fresh ideas. Making Theatre provides a framework that will take the stress out of the process, and help your students realize their full potential. Joss Bennathan answers the common questions raised by Drama teachers, such as: What is the best way of grouping my students? How do I manage and monitor several groups rehearsing simultaneously? How do I include the erratic attender without jeopardizing the work of the others? What degree of directing and guidance is appropriate? 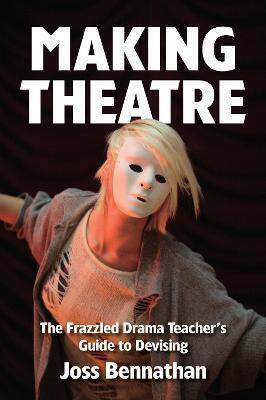 He shows how to build the foundations that underpin devised theatre, and provides ten invaluable structures to meet the needs of different students, regardless of their level of skills. These structures will help you to ensure that your students avoid shallow, clichÃ©d work and demonstrate their understanding of the relationship between style, content and form. There is a diverse range of stimulus material including song lyrics, prose extracts, verbatim testimony and artwork, all reproduced in this book. The book includes a range of stand-alone exercises covering key areas, including: Voice and movement, characterisation, communication, scene transitions, narrative economy and clarity, and performance conventions.